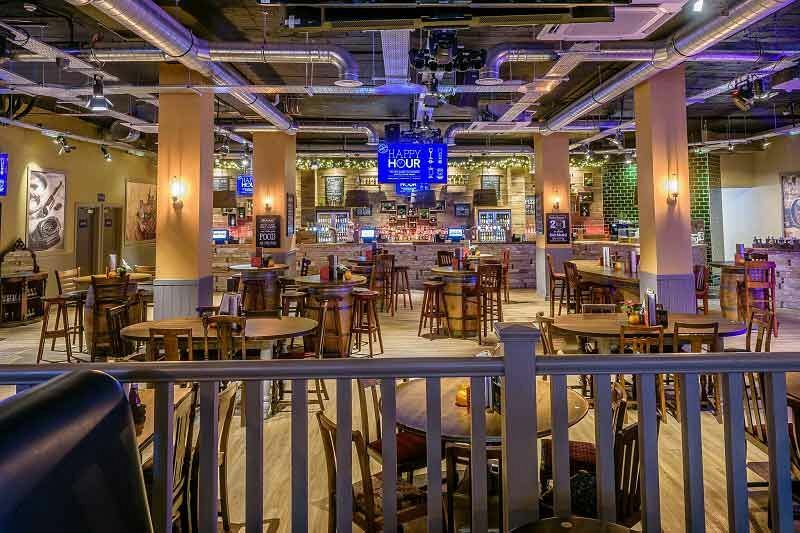 For a Christmas party that your team will love, ditch the usual turkey sit down dinner and exclusively hire out the brilliant ‘Around The World Bar’, situated on Birmingham’s lively Broad Street. You’ll receive your very own private section of the event space, where everyone can relax and let their hair down after a long working year! 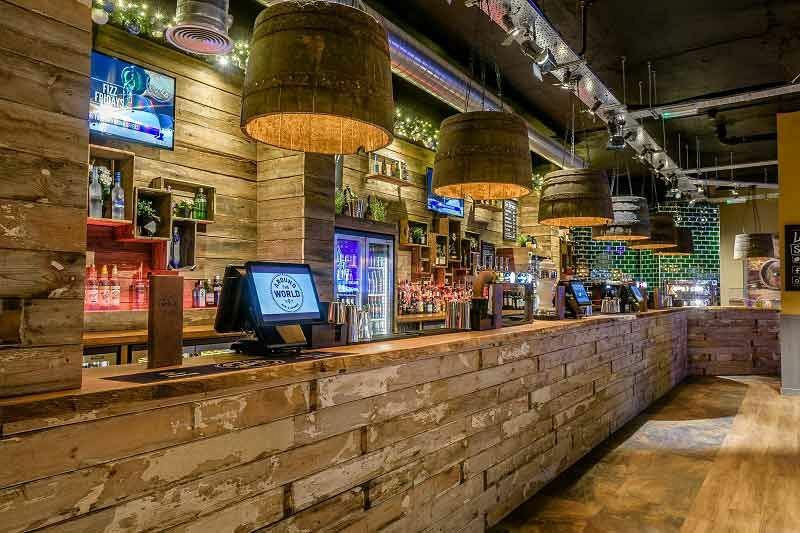 This stylish and vibrant venue features an extensive choice of drinks from every corner of the globe which will allow guests to travel the world, one drink at a time. Boasting over 100 beers from 33 countries, a delicious variety of Red, White and Rose wines, in addition to sparkling and Champagne, along with refreshing cocktails, there really will be something to cater for everyone’s tastes here. Make sure you’re feeling hungry, because the food here is seriously good. From tempting Canapes on arrival, to mouth-watering buffets and sumptuous two or three course dinners, guests will be spoiled for choice with fantastic options to whet their appetites. 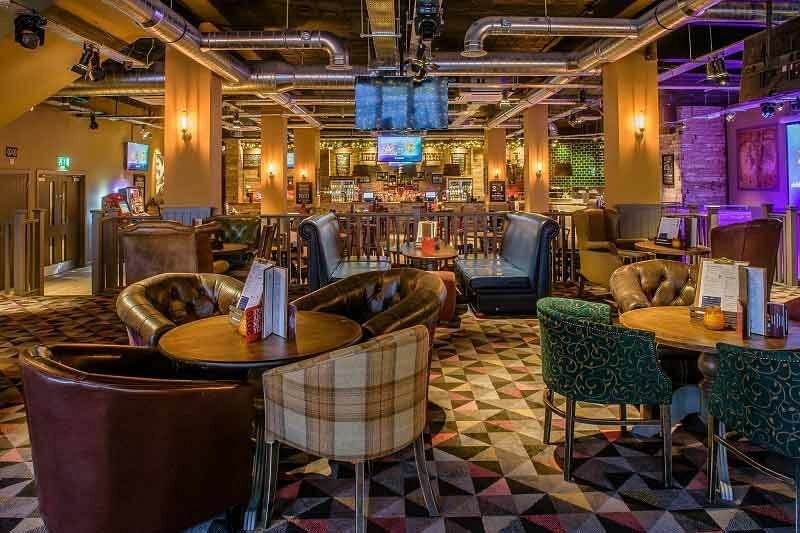 The venue offers relaxed and laid-back vibe, providing the perfect space for groups, companies and organisations looking to celebrate a private Christmas party! Send an enquiry through to this excellent venue today!